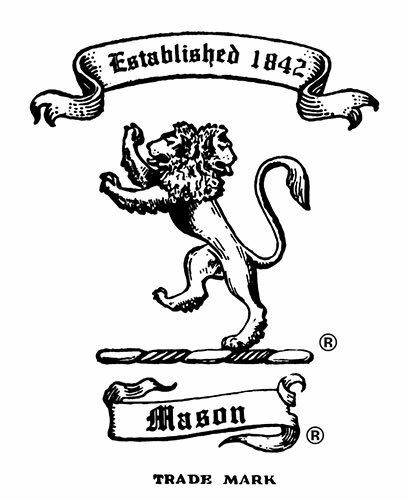 Mason Color has a vast knowledge of pigments, stains, investment castings and pool colors. Please see below regarding some of the frequently asked questions. CAN I MIX PIGMENTS TO MAKE MY OWN COLOR PALETTE? Yes, in most instances. However, some stains are incompatible with others. If you do not achieve the results you desire, please call Mason Color and our lab technicians will be happy to assist you. DO YOUR PIGMENTS CONTAIN LEAD COMPOUNDS? NO LEAD COMPOUNDS ARE USED IN THE MANUFACTURING OF MASON COLOR'S PIGMENTS. WHAT ARE "ENCAPSULATED" PIGMENTS AND ARE THEY SAFE TO USE? Encapsulation is a special, patented manufacturing process designed to incorporate certain metallic oxides into the crystals of zirconium oxide. They are also referred to as "inclusion" pigments. They are widely used in ceramic manufacturing industries around the world. They are safe to use, but as with all finely dispersed powders, care should be taken to keep operations as dust-free as possible. CAN YOU HELP ME WITH TECHNICAL PROBLEMS, GLAZE FORMULAS, ETC.? Yes, most certainly. Our technical support staff will offer advice on all your ceramic manufacturing problems. We will be happy to supply body, glaze and engobe formulas upon request. No guarantees or warranties are expressed with such information since all ceramic operations differ in crucial ways, but we will do our best to help you. WHY DO I NOT GET GOOD PINKS OR CRIMSONS AT CONE 06/2/5/10, ETC.? Mason's chrome-tin pink series, 6000 to 6006, are stable from Cone 06 (normal "low" temperature) to Cone 12 (normal "high" temperature). This type of pigment requires the correct glaze chemistry, in all temperature ranges, in order to maximize the "color value". High calcium content is the most important. The zinc and magnesia levels must be low to zero and boron should not be too high. These rules do not necessarily apply when "fast-firing" techniques are used. Also, these pigments need an oxidizing atmosphere throughout the firing cycle. WHY IS MY PURPLE/LILAC/VIOLET GLAZE TURNING BLUE? Some of these pigments are made of chrome-tin pink and cobalt. (See question above regarding pinks and crimsons). Sufficient calcium is needed to support the "red" side of the mixture. WHEN I USE BLACK STAINS TO MAKE GREY SHADES THEY TURN GREEN/BROWN/BLUE/PINK ETC. WHY ARE THEY NOT SIMPLY GRAY? Do not use black stains to make gray shades by using small amounts in the glaze. Blacks are made of combinations of cobalt, iron, nickel, chromium, manganese, etc. If low percentages are used, the resulting color is often that of the predominant oxide in any particular black pigment. Care should be taken to use the correct glaze chemistry to avoid combinations that create color problems. It is better to use the gray pigments that we offer. WHY DOES MY GREEN GLAZE TURN BROWN OR HAS BROWN EDGES? Remove all zinc from your formula, as it will turn chromium brown in most situations. Additional calcium may help. HOW DO I MAKE A NICE RED-BROWN USING YOUR REGULAR BROWN PIGMENTS? By creating a base glaze which contains 3% to 5% zinc. This will support the red side of the stain. MY BLUE UNDER-GLAZE RUNS CREATING A "FUZZY" APPEARANCE. HOW CAN I PREVENT THIS? Cobalt silicate is very soluble in the glaze. It is better to use cobalt aluminate or a combination of both. Also, too high of a temperature can cause this effect. WHY DOES MY GLAZE APPEAR "MILKY"? Too much boron in the frit or glaze formula, under-firing, or the presence of opacifier in amounts greater than 2%. WHERE CAN I FIND SAFETY DATA SHEETS FOR THE PRODUCTS YOU OFFER? We offer all our GHS SDSs online for you to download. You can find them here.